Home Android Why Android 9 Call Recorder App Doesn’t Work Properly ? 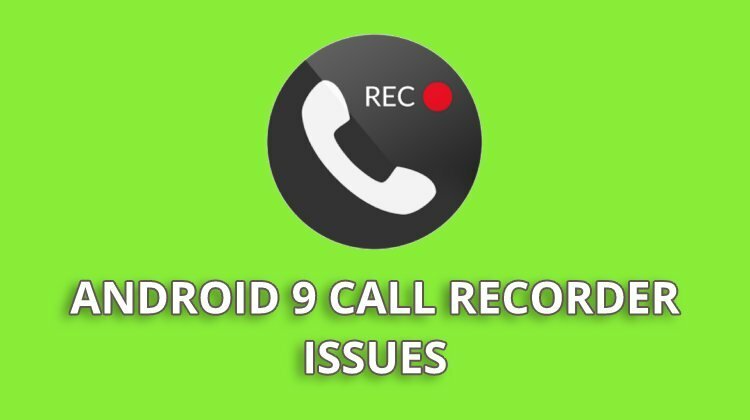 One of the main issues for those who are using the latest version of Android Pie is that, none of the call recording applications works properly. If we search for call recording application in the play store, we get a lot of automatic and manual call recording applications. Most of them have 4+ rating in the playstore, but none of them works for Android 9 users. All the applications that are available now works seamlessly on any mobile that runs on Android 8 Oreo and below. But that is not the case with Android 9 Pie. Due to Google’s new security measures and privacy issues, there has been so many restrictions imposed on third party application from accessing certain features. Google’s latest privacy statement clearly mentions that, it will not allow any application on the playstore that access microphone, contacts etc, directly. Because of the added security, these call recording applications now cannot directly access microphone and speaker directly. This makes those applications difficulty in recording calls. Earlier, these application used to run in the background and whenever a conversation starts, it will automatically records the calls by catching the voice for the calling party and the called party. It was done using the built-in mic and the earpiece which they have access. But, as of now, these access as revoked and the application cannot access those voices from mic and earpiece directly. As a result, even if the recording continues, the voice from both sides will not be recorded properly. Currently, there is no direct way to sort out this issue as it is known limitation imposed by the Google itself. So we cannot say it as a bug or problem. Yes, it is a problem to some extent, but it is intended for the security of the one who using the mobile. To keep the data safe, these restrictions were imposed. The only way, that can record the conversation now, is by using a second device or any call recording device externally. It is not an easy method and not at all an automatic way. Actually it requires extra work and time. But you really need to record a call that you are making using Android 9 device, this is the option. Note that, it will not be easy to record an incoming call. Since you will not get enough time to set this thing up while receiving a call. We have to use android 8.0 simple and plain… or move to another plataform if the MF company does not give us an alternative… we move on… change cell phones, change plataform… change… we adapt… IF YOU MF GOOGLE company does not give us a solution, we provide a solution.